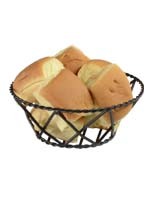 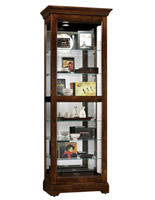 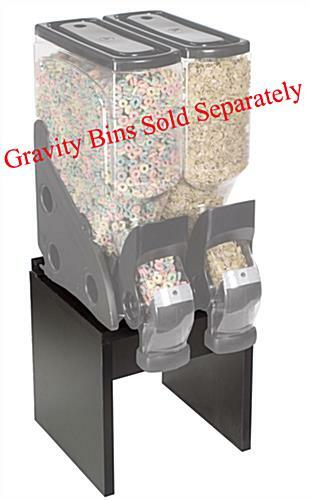 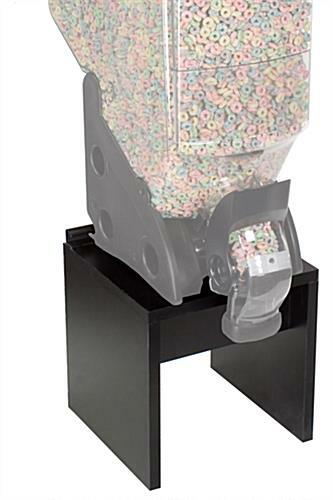 This gravity dispenser stand is manufactured with black melamine for a sturdy base on which to support bulk food bins. 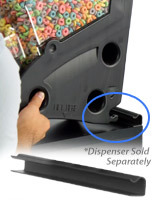 Raising the containers allows for no-fuss dispensing and provides plenty of room for placing a bowl or bag to catch the contents. 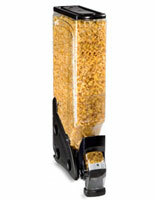 Our gravity dispenser stand is designed for use with our line of BGB bulk bins, and comes with a retainer clip located on the rear of the riser. 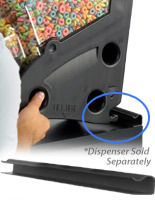 The dispenser simply engages the clip to prevent tipping over. 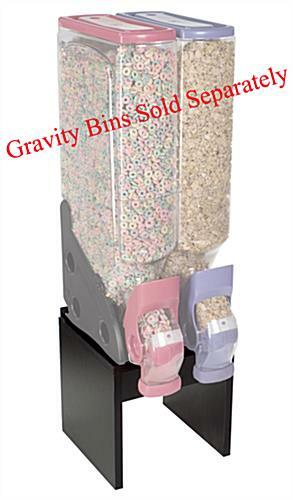 Buy multiple gravity dispenser stands for all your bulk produce needs!